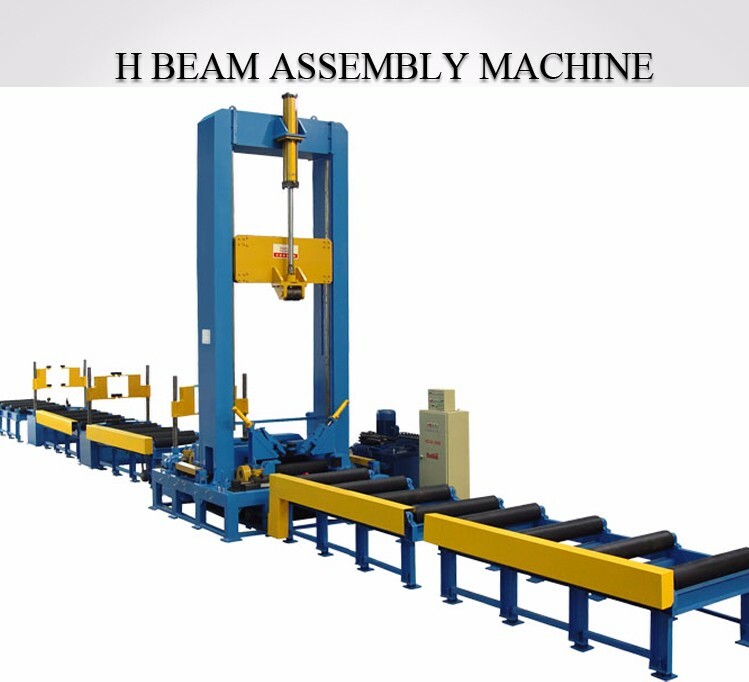 This heavy duty H beam assembling machine can produce H beam with larger size according to customers’requirement, the maximum size of web height can reach 3 meter. It is equipped with auxiliary supporting device for large web. control button panel, with easy and convenientoperation and precise positioning. assembly speed can be adjusted between 0.5—6 M/min. weight and the key components have been stress relieved, which don’t deform easily.